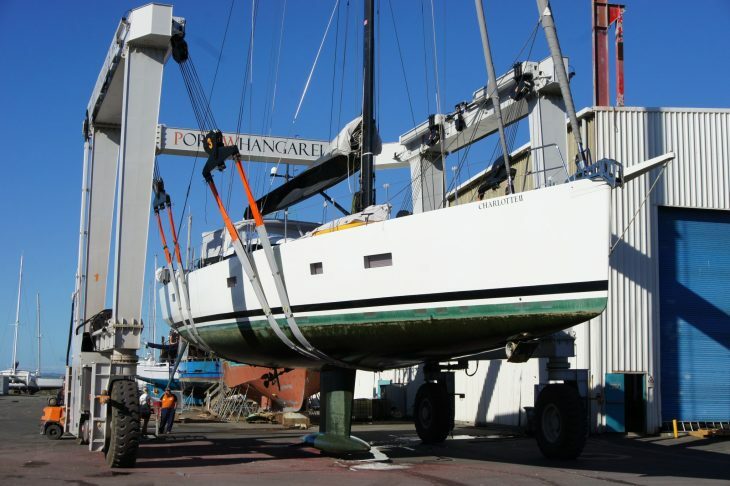 The 23 metre sailing yacht ‘Charlotte II’ has hauled out at the Port Whangarei Marine Centre, New Zealand, for maintenance and preparation prior to sailing north for the cruising season among the Islands of the South Pacific. 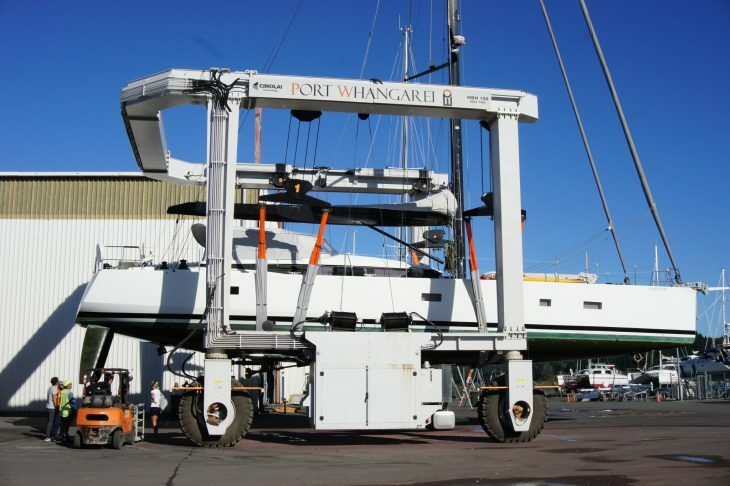 The 100T travel lift handles these larger sailing vessels quickly and efficiently supported by a full service shipyard. The marine centre has become the yard of choice by professional crews for their technical stops and also provides the opportunity for them to enjoy a fabulous part of the country.